NEW! Get excited to experience the muscle sculpting and intensive core work offered in a traditional mat pilates class, combined with the fat burning benefits of cardio intervals! This session will lengthen and tone muscles as you carve out your ultimate physique! 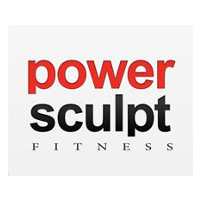 There are no upcoming “Power Sculpt Pilates” classes on this day. Never used TRX before, made the workout that much more intense. This class was upbeat and definitely a good workout. Very low key. Good add on but not necessarily a stand alone workout. Slow moves but you can feel it!